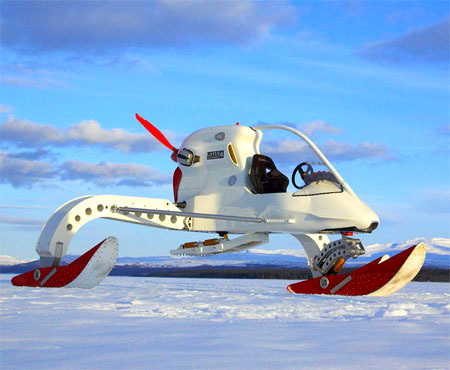 CIV or the Concept Ice Vehicle is a product concept of the creative minds of Kieron Bradley that gained experience in designing formula 1 racecar chassis before plunging in and lead on the CIV built as a manned scout rover for a trans-Antartic expedition. The CIV engine, which is the supercharged BMW 1150 that has been adapted to run on biofuel, made it eco friendly. 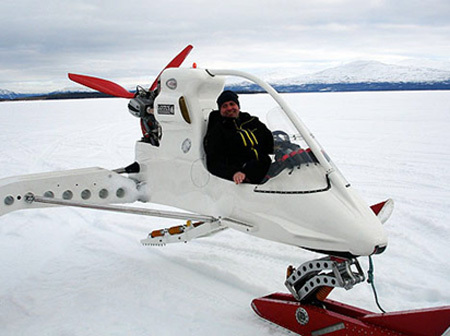 Its propulsion system is via propeller and the 800lb vehicle has a speed of 84mph, which is obviously to notch. 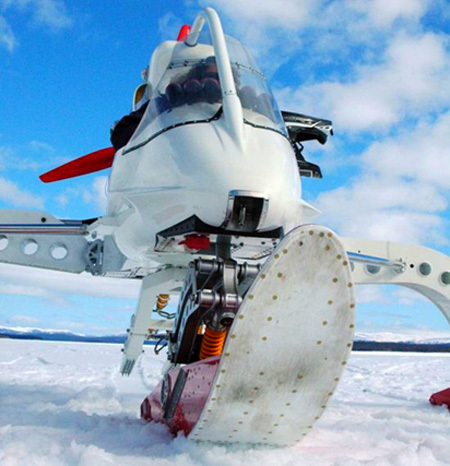 In addition, the CIV is a cross between Ultra light and snowmobile and the machine is equipped with an Ice Penetrating Radar or the IPR. Great ride. Fan Sled at 85 MPH it must be very fun. I would rather have a safer enclosed compartment to sit in, with a heater and tunes.